Doña Máxima continues to weave the regalia she and her husband need for his current year long term as mayor of Huancarani. 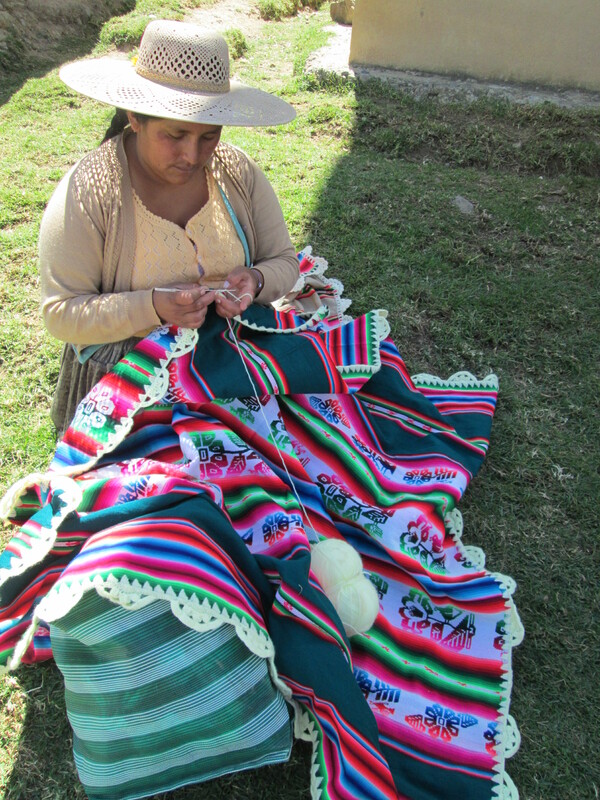 She is weaving an aguayo in 24 vivid colors with 4 rows of figures each side to complete her attire for next year´s Carnaval. 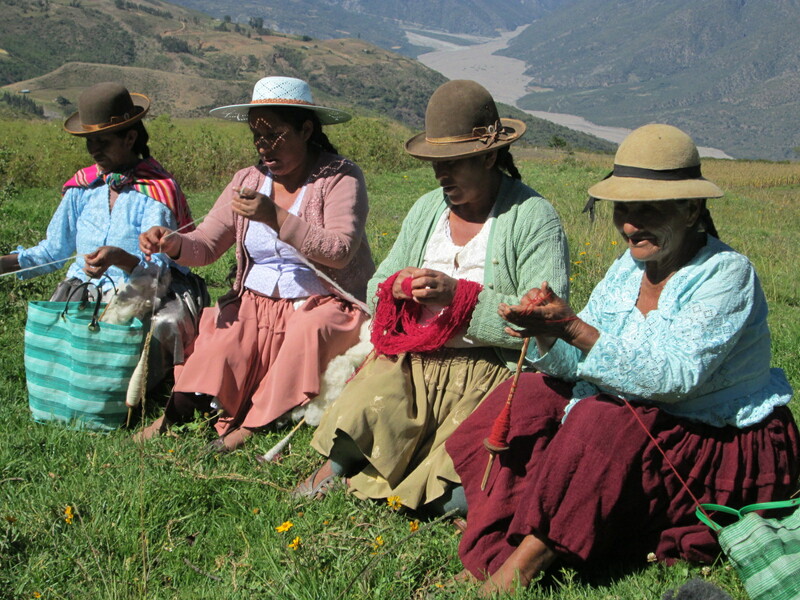 Aguayos are the ubiquitous Andean backpack, a square of cloth woven in 2 halves and stitched together. 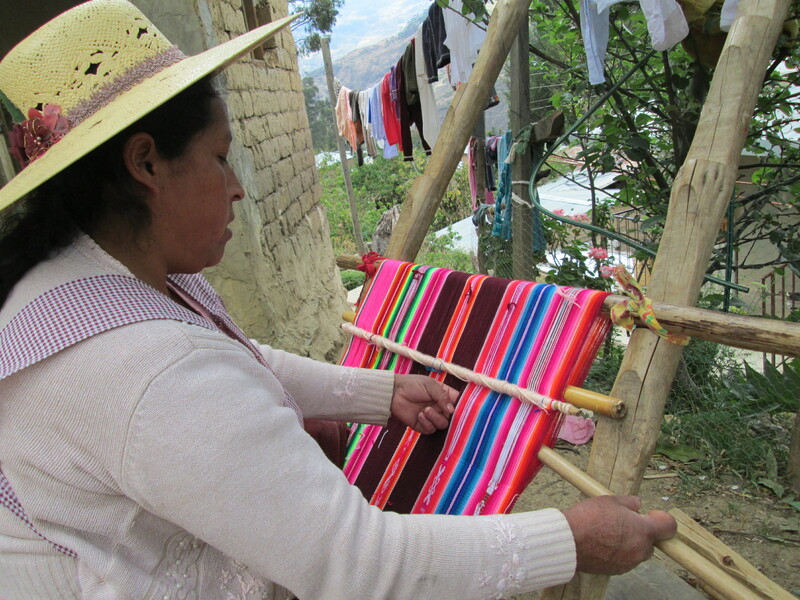 She´d planned to include a column of embedded double woven figures, but reconsidered after using the labor intensive weaving technique in her husband´s aguayo. 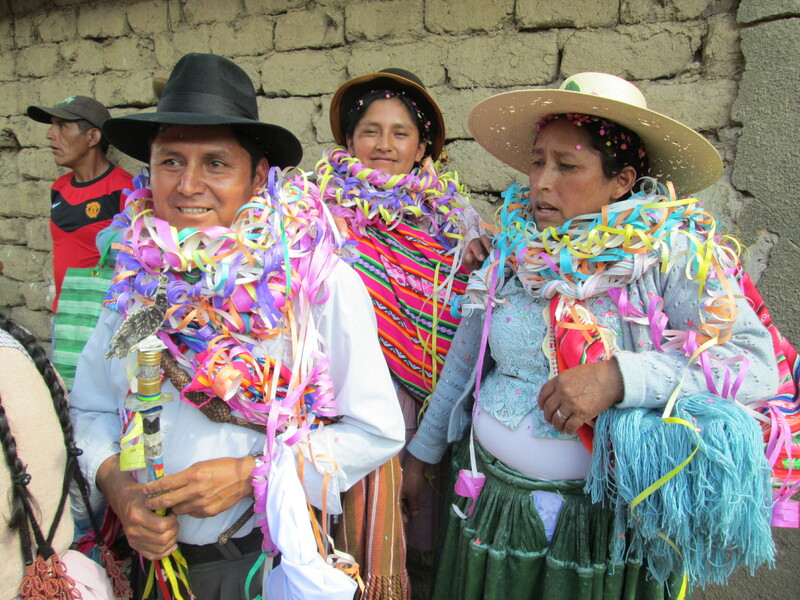 The competitive spirit of their long ago teen years is resurfacing among the Huancarani weavers. 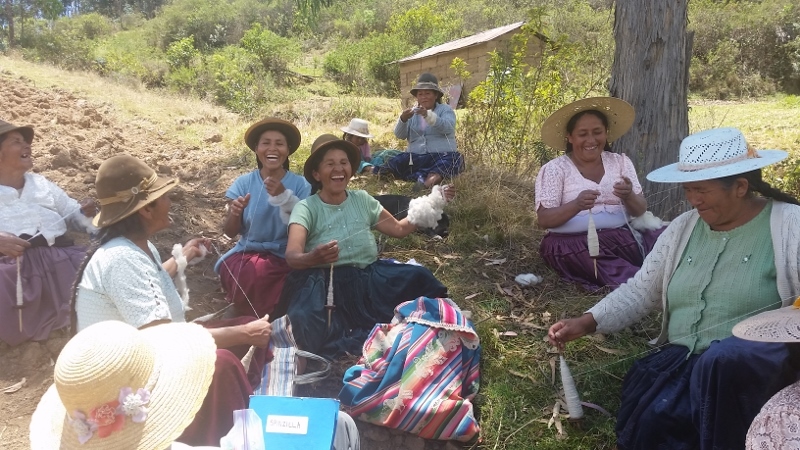 Although Doña Antonia wasn´t motivated to weave a new aguayo 2 years ago when her husband was mayor of Huancarani, she is working on her second one this year, and talking about weaving a third. 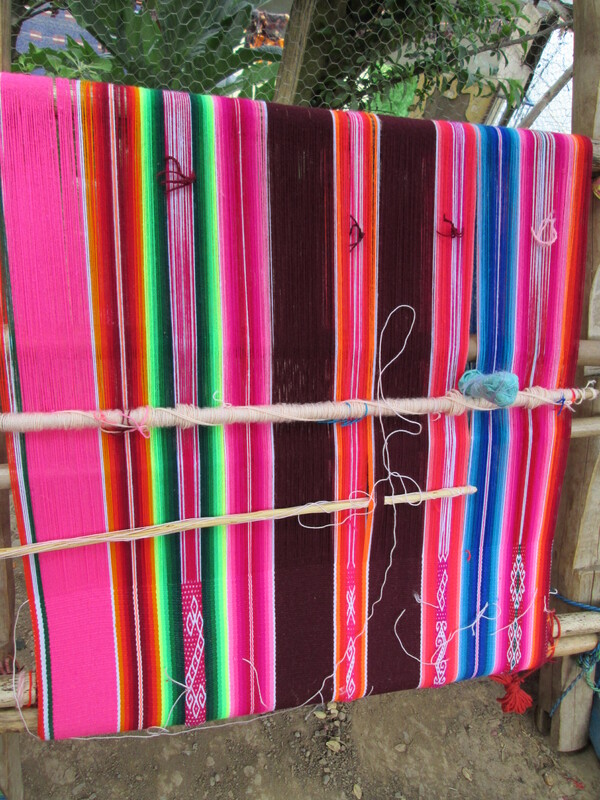 Doña Justina is weaving a new Carnaval aguayo using natural dyed yarn instead of the “traditional” synthetically dyed yarn used for celebrations. Doña Narciza said she may start one in December. her new aguayo. She was nearing the end of the weaving and commented that is was slow going because of the difficulty of working in the increasingly tight space. She reminisced about being at the same stage with her first aguayo when she was 15 years old hoping her mother would notice her increasing frustration and offer to help. 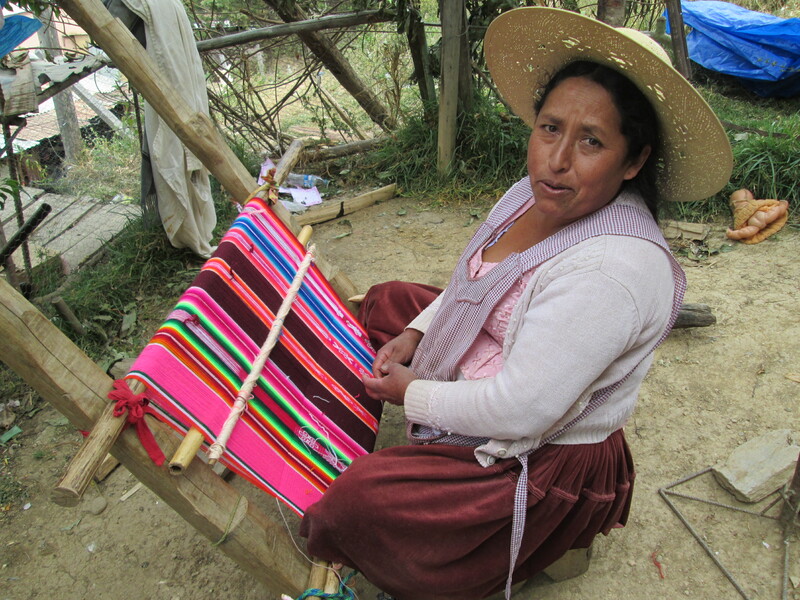 She finally gave her loom a few hard smacks but received nothing more than a chuckle from her mother. She pointed out colors she liked and talked of the design details she’d like to combine from the first 2 aguayos to weave the third one. She also commented on the woven figures her daughters haven´t learned because the figures are not used on the weavings for ch’upsas, which are what are being woven for the various PAZA products. Vilma, who is Doña Máxima´s eldest, was listening and again stated she planned to weave her first aguayo. However, she had recently purchased a new factory woven one which she personalized with a lavish crocheted border. 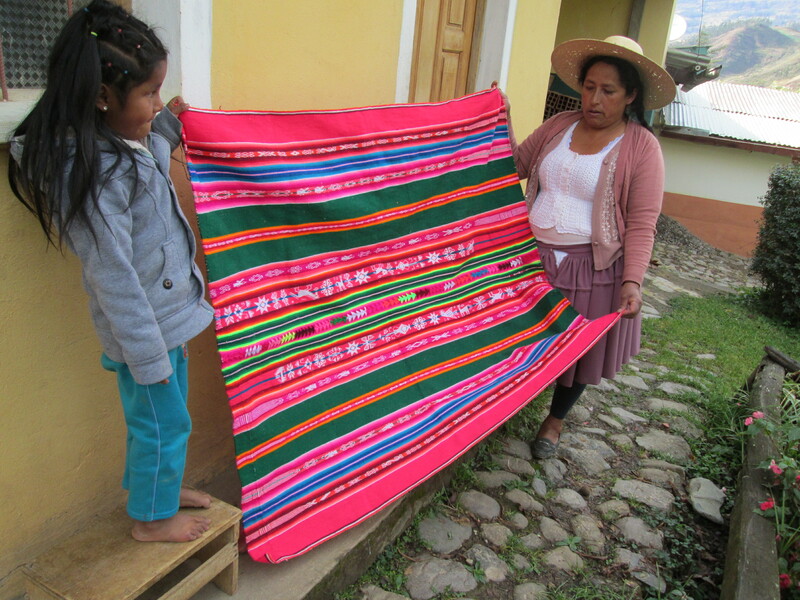 All markets feature stacks of brightly colored, inexpensive, factory woven aguayos. They filled the void due to the lifestyle change of girls studying instead of living the farmer subsistence life that incorporates weaving skills and fostered the teen competiveness to master the craft.